Apple Music Festival is starting to dial in its lineup. 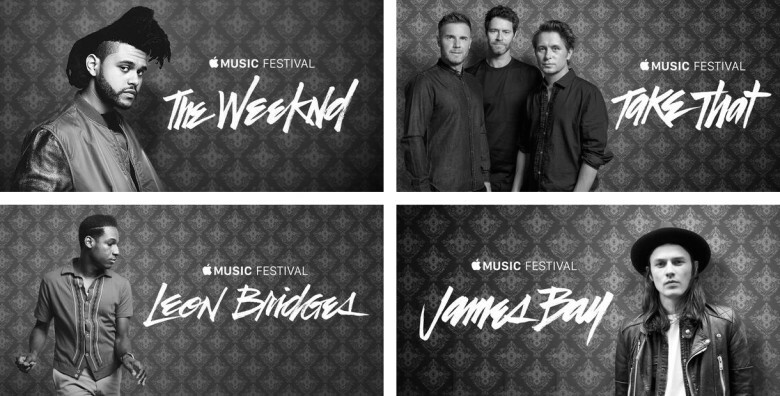 The Chemical Brothers and the Weeknd will headline this year’s Apple Music Festival according to an announcement made today by the company on Twitter. The festival was revealed last month but Apple has only given us a few hints about who’s going to take the stage until today when Leon Bridges was also revealed to be one of the acts headlining the 10 day event. 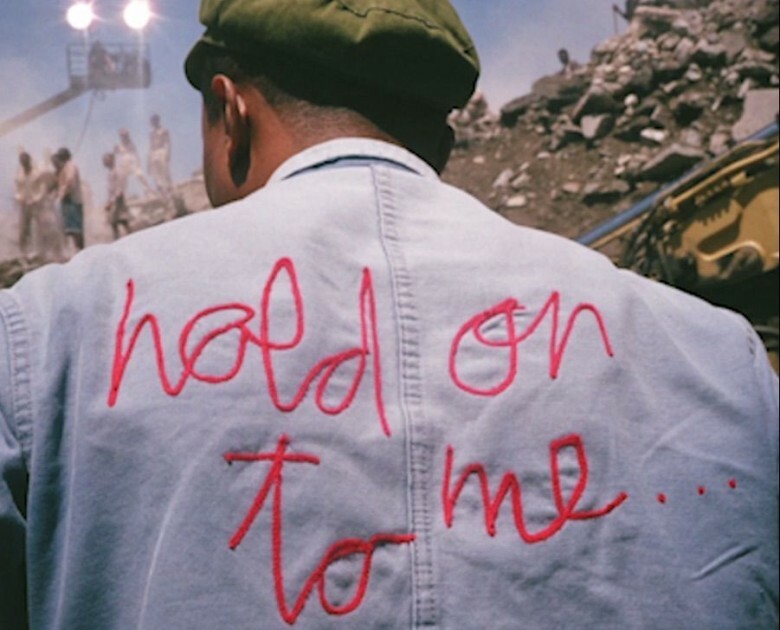 Pharrell launched his latest jam on Apple Music. Apple is getting one step closer to becoming its own record label by creating its own artistic content — having recently produced in-house music videos for top-name artists such as Drake, Eminem and Pharrell. The videos — which include Em’s “Phenomonal” and Pharrell’s “Happy” — debuted on Apple Music. Future artists Apple will reportedly be producing videos for include M.I.A., Purity Ring, Diddy and James Bay. 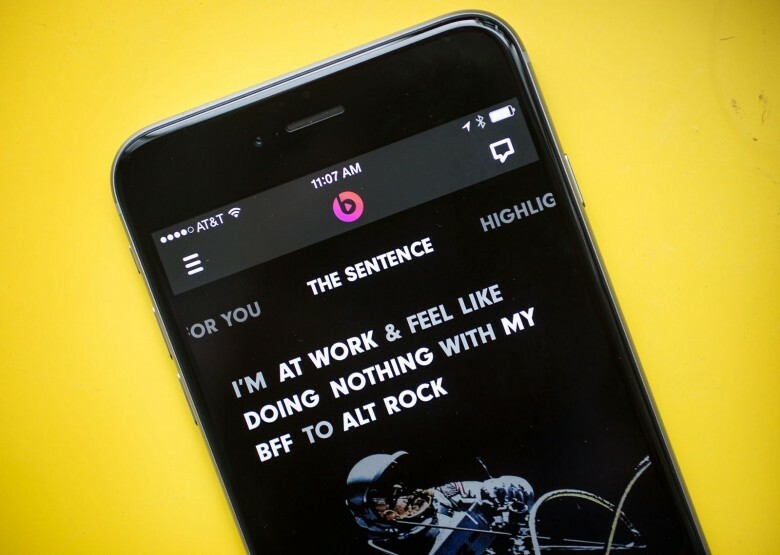 Beats 1 delivers 24/7 internet radio. Apple is planning to launch its new streaming music service in less than a week and the company plans to pack a lot of star power to get iOS users to tune in. 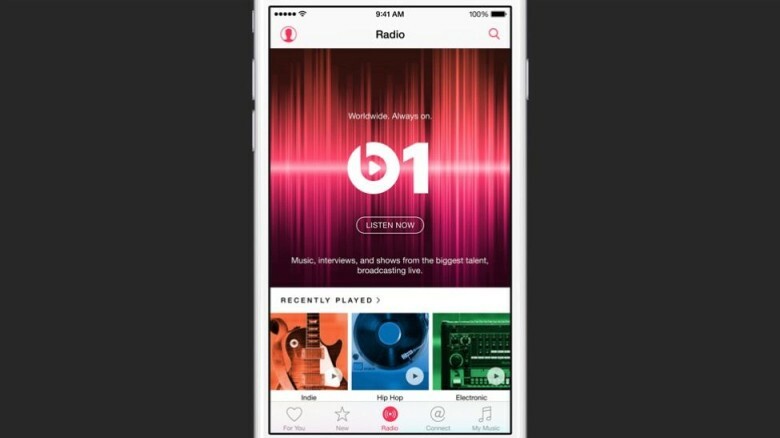 As part of the new Apple Music service, Beats 1 Radio will use a host of celebrities to plan and host their own music shows that will touch on everything from golden oldies brought to you by Elton John, to hip new Millennial songs with teen Jaden Smith spinning the discs. 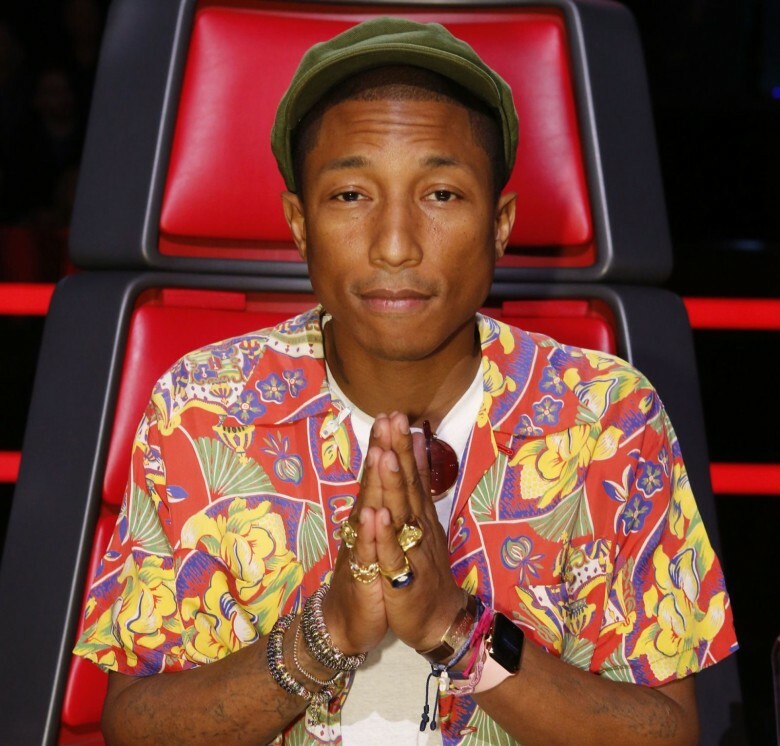 Pharrell Williams has been Apple’s BFF lately, but when it comes to the battle between Apple and Taylor Swift, Skateboard P is on Team Taytay. The eleven-time Grammy award winning artist spoke at the Cannes Lions Festival today (where Apple just scooped up a big award), and said that what Taylor did was a great thing for music. From pop-up kiosks in up-scale luxury department stores to focusing more on the fashion press than the tech pages, it’s been fascinating to watch the unorthodox way in which Apple is choosing to spread the word about its upcoming Apple Watch: attempting to make it into this summer’s must-have item. 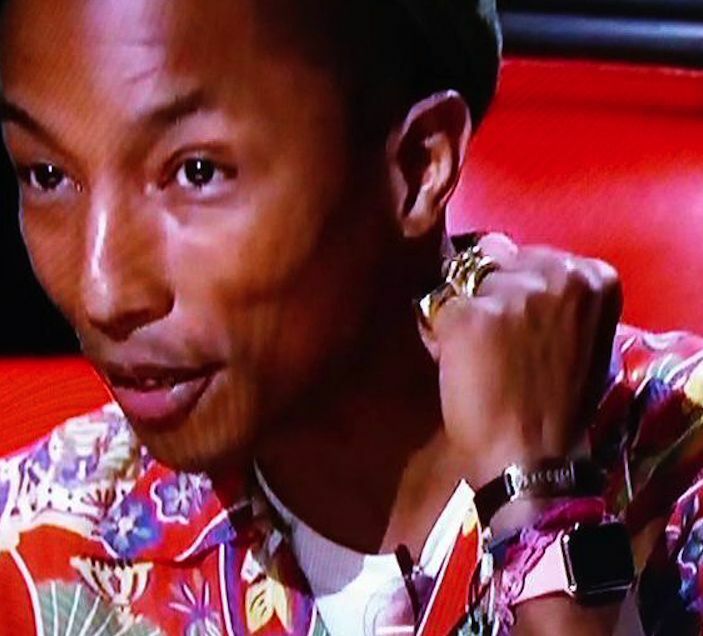 During Monday’s episode of The Voice, the next step of this roll-out was revealed, as Pharrell Williams — acting as a judge on the show — was spotted wearing the device, without a supervising Apple engineer or PR bod in sight. Hey, as fashion items go, it makes a change from giant hats, at least! Beats co-founder Jimmy Iovine is in fresh talks with the world’s top musicians, in hopes of landing more exclusive album deals for iTunes, reports The New York Post. Apple is looking to replicate the success Beyonce had with her exclusive iTunes album in December 2013, by signing other hot artists to drop their albums early on Beats Music and iTunes. But according to industry sources, the idea of artists making side deals with streaming services is not going over well with record label executives. Who should Apple hire as a ‘thought leader’? Apple is looking to hire a thought leader. While the actual job listing — blah blah blah “execution of critical sale reporting projects” blah blah blah — sounds about as exciting as a new ink cartridge, the idea of a thought leader role at a company like Apple is worth pondering. Ever since the death of co-founder Steve Jobs, there’s been much speculation and hand-wringing over who could assume his role as Apple’s foremost visionary. Although no one can ever fill his New Balances, we’ve rounded up a short list of leaders who might kick the Cupertino company in a new direction. Who do you think should drive Apple’s big ideas? Check out our picks in the gallery above, then nominate yours in the comments below.